This is the 2025 class list and this is the beginning stages. There are many kids who deserve to be on this list but I haven’t seen them thus far, there are also several prospects who could be a little higher on the list or a little lower but this is an early stage for the class. Jrhoopselite will be in constant contact this fall & Winter. The list is designed for promotion of our youth and designed to motivate kids, there are a lot of kids at this level that I have not seen yet and I will not include on the list until I have actually seen them play. I will be out at various tournaments and school games through out the winter. Again I want kids to understand that you are preparing yourself for down the line, continue to work and get better, Again if your name is not on the list it maybe an oversight or I have not have seen you play in person. Feel free to give me a call or text sometimes I omit a kids name while in the process of moving them up or down on list by mistake. Again I will say, use for motivation and keep working. Kids get better at different stages. If you are playing somewhere and want me to come check you out feel free to text or DM me. I’m out 5 of 7 days looking at kids all over. Again I do not put a kid on the list until I have seen them. 2024 Class Rankings There are many kids who deserve to be on this list but I haven’t seen them lately or haven’t seen them thus far, there are also several prospects who could be a little higher on the list or a little lower but this is an early stage for the class. 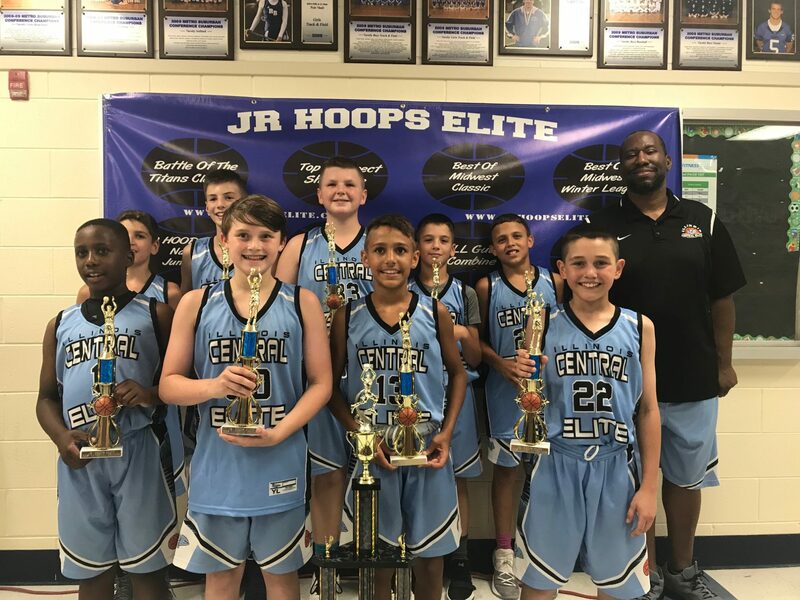 Jrhoopselite will be in constant contact this Spring and Summer. The list is designed for promotion of our youth and designed to motivate kids, there are a lot of kids at this level that I have not seen yet and I will not include on the list until I have actually seen them play. I will be out at various tournaments through out the summer. Again I want kids to understand that you are preparing yourself for down the line, continue to work and get better, Again if your name is not on the list it maybe an oversight or I have not have seen you in person. Feel Free to contact me. There are many kids who deserve to be on this list but I haven’t seen them lately so I may have taken them off until I see them again or there are players I havent seen in person so far, there are also several prospects who could be a little higher on the list or a little lower but I will wait to change because of the reasons stated above. 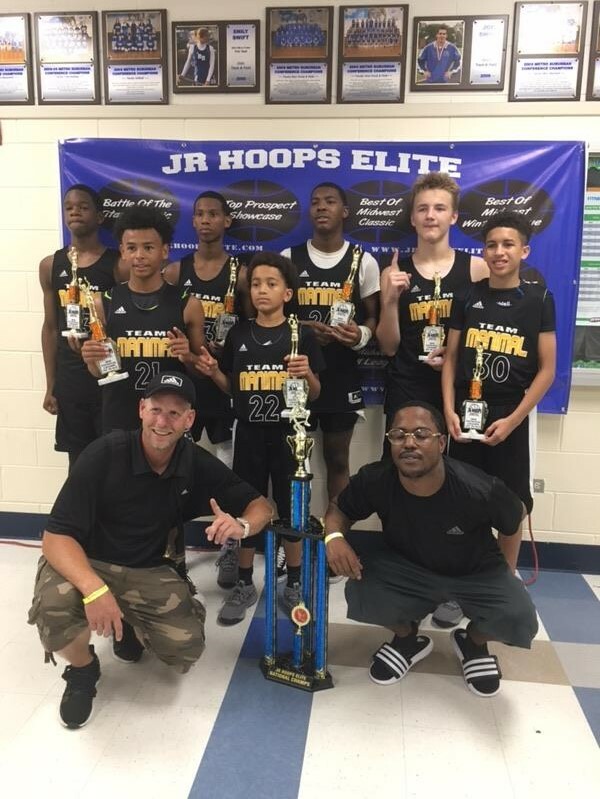 Jrhoopselite will be in gyms all winter ans spring. The list is designed for promotion of our youth and designed to motivate kids. Again I want kids to understand that you are preparing yourself for down the line, continue to work and get better, Again if your name is not on the list it maybe an oversight or I have not have seen you in person. There are over 600 kids in 8th grade database so far, some kids I may have taken off list until I know better where to put them and a few others I may need the correct spelling, those will go up daily for next week or so, feel free to give me a call or text sometimes I omit a kids name while in the process of moving them up or down on list by mistake. Again I will say use for motivation and keep working kids get better at different stages. I have had numerous Division 1 kids play for me who were on no ones radar at this stage keep getting better. 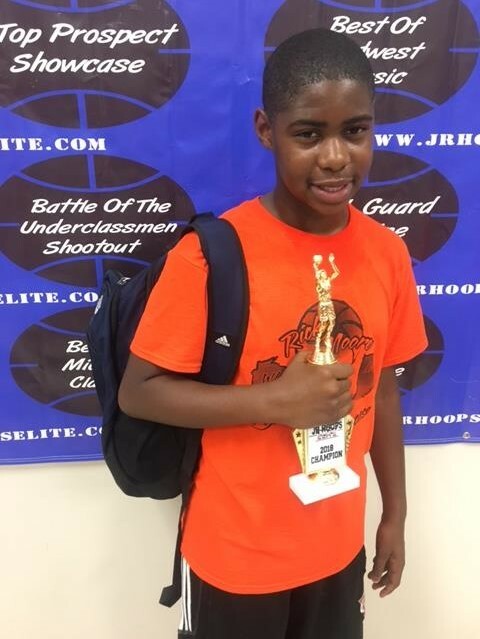 Darrell Island 2023- Talk about a kid coming in on a mission and displaying his talent quickly. WoW!!! 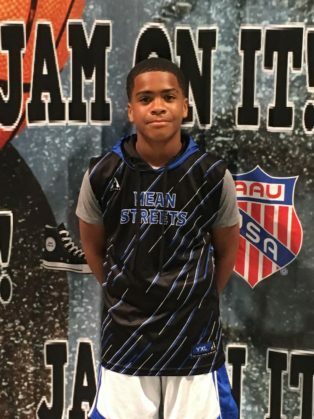 young fella put on a show showing that no one in the gym could keep him from getting where he wanted on the floor, young fella had defenders sliding all over the floor with his hesitation dribble and quick crossover. Many people had never heard of Darrell before the event this year. Now My phone is ringing off the hook from coaches including several of the heavy hitters. Talk about a kids stock rising, this is a perfect example as Darrell Island is sure to make a big big jump in our updated class rankings being released starting 3/1. 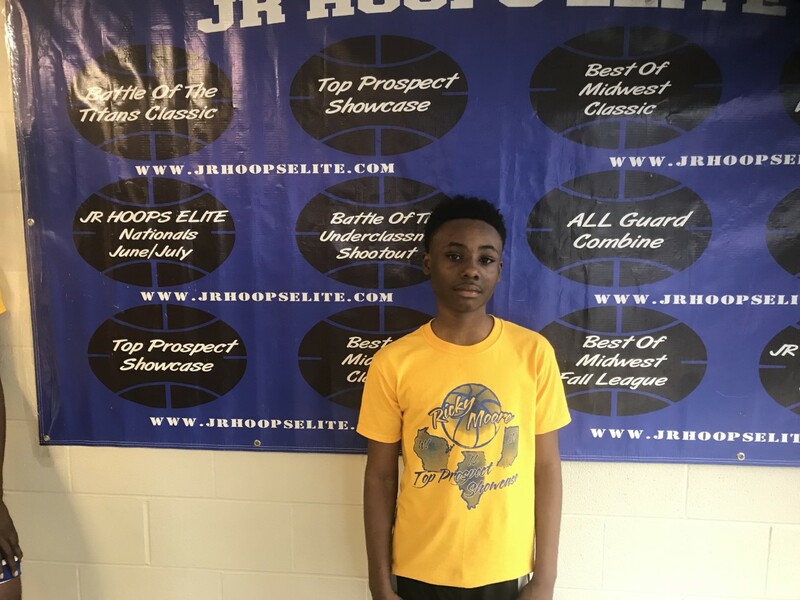 Mike Jones Jr 2024- Young Fella came to the showcase and did nothing but turn heads, he showed elite athleticism at the rim, the ability to defend quicker guards, play above the rim and score off the bounce. 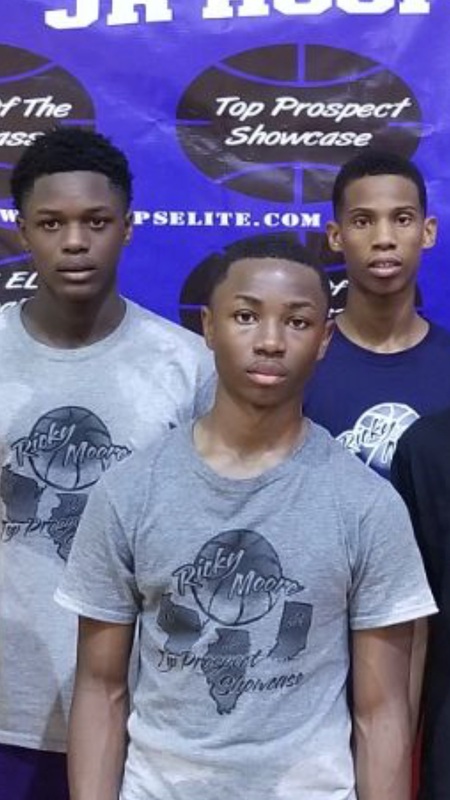 Make no mistake about it young fella name will be moving up in our updated rankings as a players who skill and talent is catching up with his size quickly. Every coach in the gym said same thing. ‘ Rick You Know Who He Remind Us Of!! !” I said yep no need to even mention it. Mike Jones stock is definitely on the rise. 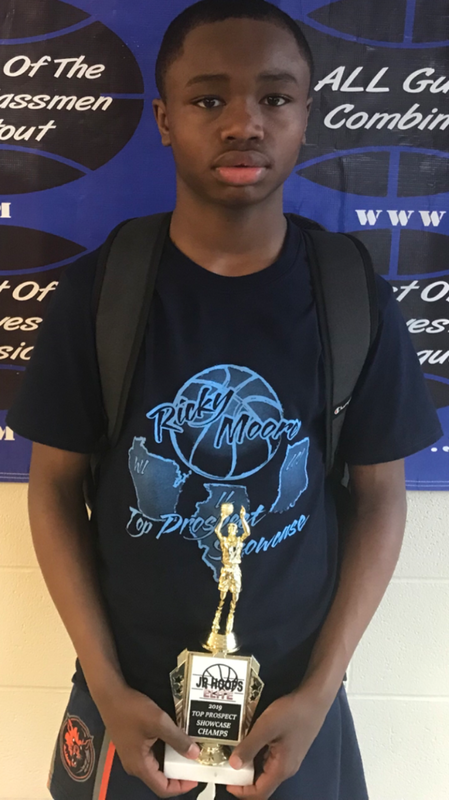 Marvin Stephens 2024- Here is a kid who came in and played with a lot of energy and intensity, small in stature but big in heart young fella showed he can play, Having been his first chance to play against many of the elite and in a showcase environment fir the first time young fella also showed poise. look for Marvin to make his debut in the class rankings in our update later this week. This is the initial 2025 class list and this is the beginning stages. There are many kids who deserve to be on this list but I haven’t seen them thus far, there are also several prospects who could be a little higher on the list or a little lower but this is an early stage for the class. Jrhoopselite will be in constant contact this fall & Winter. The list is designed for promotion of our youth and designed to motivate kids, there are a lot of kids at this level that I have not seen yet and I will not include on the list until I have actually seen them play. I will be out at various tournaments and school games through out the winter. Again I want kids to understand that you are preparing yourself for down the line, continue to work and get better, Again if your name is not on the list it maybe an oversight or I have not have seen you play in person. Feel free to give me a call or text sometimes I omit a kids name while in the process of moving them up or down on list by mistake. Again I will say, use for motivation and keep working. Kids get better at different stages. If you are playing somewhere and want me to come check you out feel free to text or DM me. I’m out 6 of 7 days looking at kids all over. Again I do not put a kid on the list until I have seen them. Jeremiah Fears 2025- Playing as the only 6th grader in tournament, young fella was spectacular scoring 14 in his opening game hitting 4- 3 point shots from long range then followed that up by scoring 33 in the Semi’s and 27 points in the Championship over a States Top 10 team, who bolds a roster of talented players including Top 15 player in class of 2023 Jeremy Harrington. The thing is there have been plenty of kids who play up a year and contribute, but young fella plays up two years and shows no signs of fear or hesitation when he plays, talk about ” heart” he has that special want to in his game. Game winning shot or up twenty makes no difference he letting it go with the confidence that ” He belongs” and boy did he prove that this past weekend, in a playoff like atmosphere with the whole community looking on, rivals of the same city playing for bragging rights. 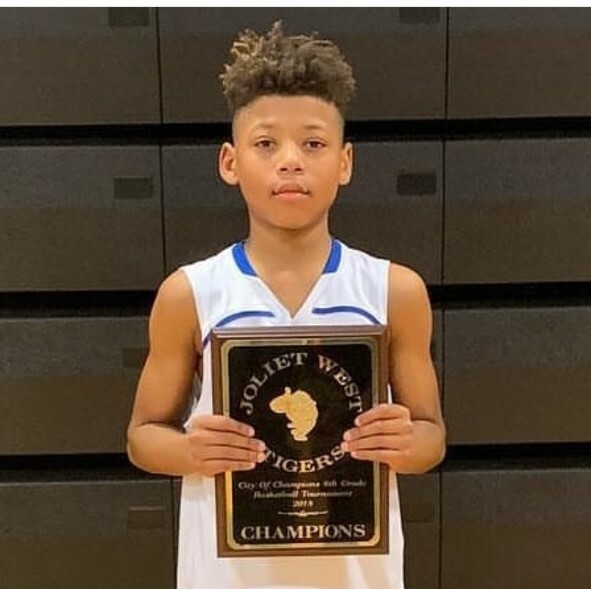 It was the youngest player in the gym who shined the brightest as Hufford Middle School shocked the State beating Powerhouse Troy Middle School in the game of David vs Goliath. 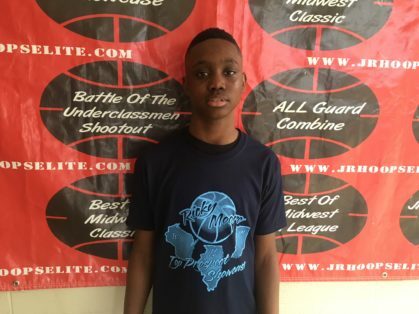 Lil Jeremiah Fears cemented his name and legend as he averaged 30 in the final 4 in a game that people will be talking about for the ages. Yep Jeremiah Fears our current number 3 player in the class looks to move up in the updated rankings when they are released stay tuned. Jr Hoops Elite Would like To Congratulate USA Invitees Who Are Former Standouts Who Were Noticed Here At An Early Age. Below Is what we said before anyone ever had them on the big stage. When I see a player like this he makes me shake my head and say “WOW!! !” I’ve been around many players, high level college and N.B.A. whom I’ve seen when they were in Middle School and it’s hard to remember one being as polished at this stage as young Patrick Baldwin Jr. Here is a 6ft 5 plus wing that has incredible talent. He does so many things that college players are doing now. I’ve witnessed young fella play in the mid-post like a pro, reverse pivot step back off the glass bucket!!! MJ STYLE, curl the screen, catch and shoot from 24ft. swish!!! looking like Klay Thompson. bringing the ball up the court on smaller defender he gets to his spot and raises over the player like “he’s a chair in a drill !!! Shaun Livingston, All I can think is this kid is so far ahead of everybody in his class with his skill set and understanding of the game he’s Next Level!!! When you look at Patrick it’s easy for me to imagine him putting up impressive stats in College at a high level in a few years. 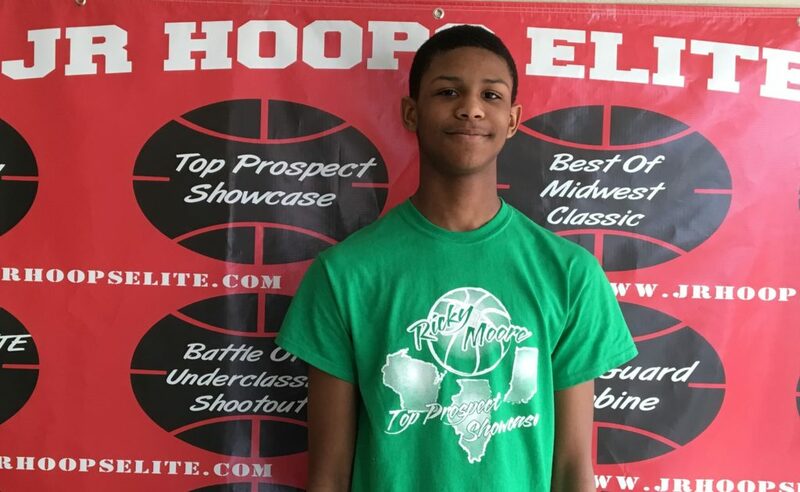 He is the one kid who has the size that equates to the position(sg/sf) he projects in College right now. While young fella has all the tools and skills, there are some who will mistake his skill set and poise and say he needs to get that “so called dog in him” too them I say “you are confused the kids usually being called the dog are more often than not the ones whose skill set is just that high motor, high energy, grit and grime”. It’s crazy how that is so misinterpreted. I tell people all the time ” you want the kid with the skill and game !! !” all that, he is a dog and plays hard-nose wears off quickly after middle school. Young Fella is “The Truth!! 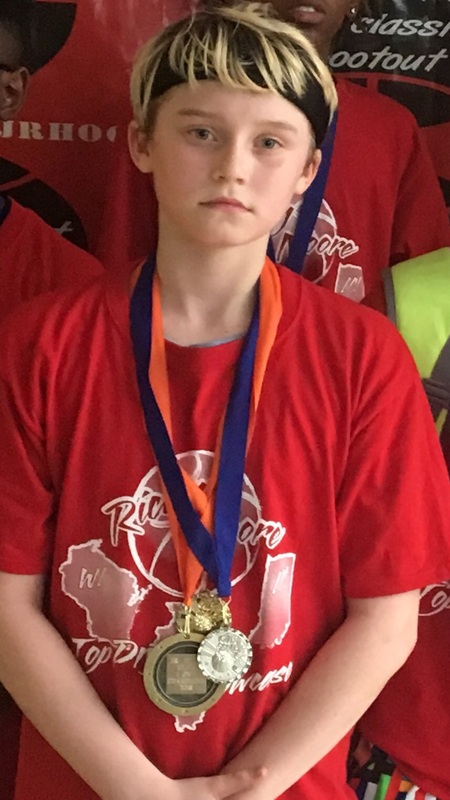 !” He has a sweet stroke and if there are 2 better shooters in his class I haven’t seen them, I’ve watched games where he knocked down 3 of 4 or 4 of 5 like they were free-throws and with his size and high release, it’s like the defenders were helpless. 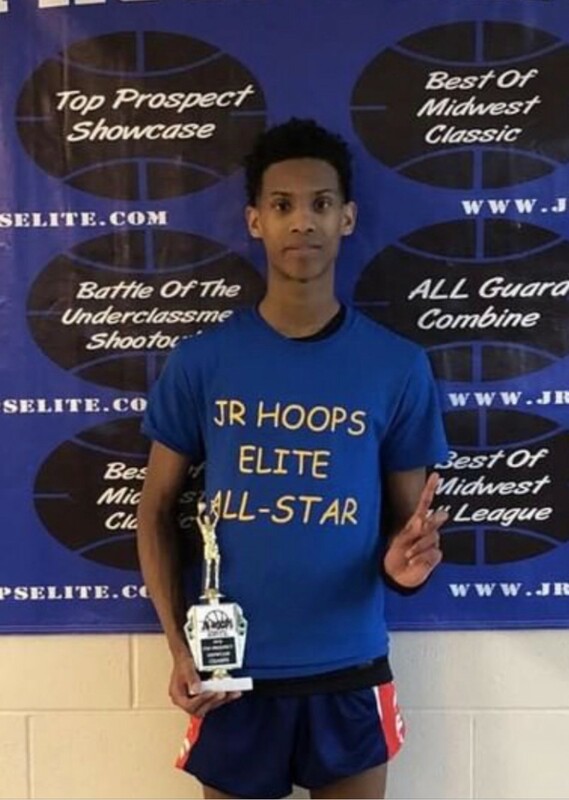 The thing that also impresses me about young fella is he is such a quality kid, he never comes off as the ” I’m a superstar kid” He is all about his teammates and he is always looking for ways to improve, spending countless hours in the gym. Add to that he is an honor roll student and does community service and you have one well rounded young man. Hey High School coach be ready to move somebody over, you have a 4 year starting wing coming in the door day 1 no need to play around he will be ready. 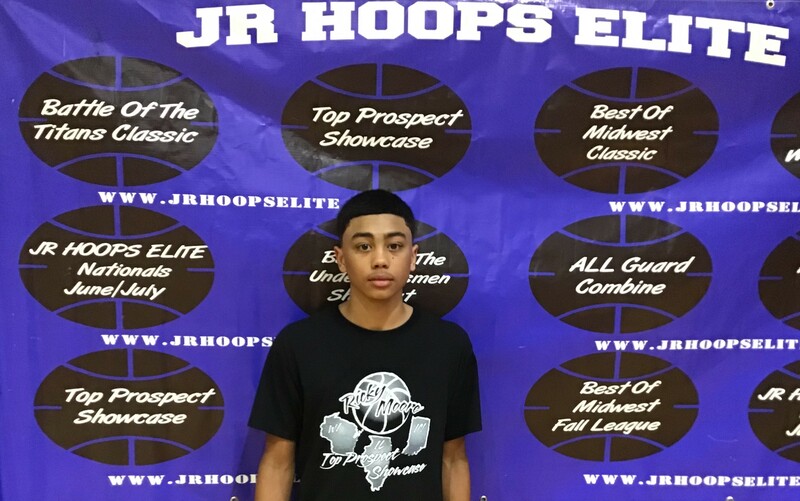 Patrick Baldwin Jr. is JrhoopsElite #1 rated prospect in 2021 class, and we would like to acknowledge him as our Promising Prospect “Next Level” The Top Prospect Showcase is Feb 25th and we look forward to watching many of the top players in the Midwest. Khalil Whitney – Another Kid who when we mentioned early in middle school people laughed and said he hasn’t played anywhere, Yep Well just as we suspected the young kid from the 60624, has evolved just like we thought A top 5 player in The Country( ESPN)and still has that same humble and hungry attitude. Congrats To one of the originals Jr Hoops Elite Prospects. We Love Ya Kid and Congratulations. Sometimes you see a kid and say “boy oh boy If I had him”. Well there is one kid walking around the Chicago’s Westside and he keeps me making that statement. 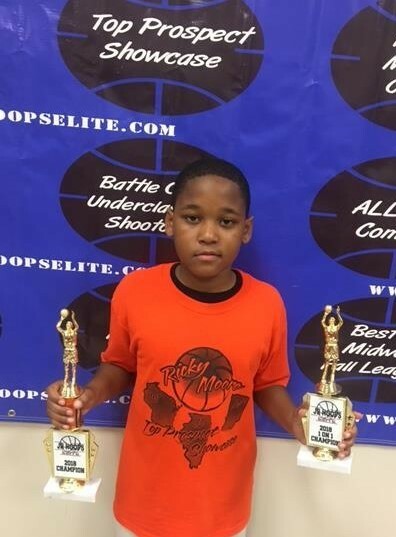 His name is Khalil Whitney he is the 6/4 wing whom just recently graduated from Gregory Elementary. I have known Khalil and seen him play for more than 3 years. I have witnessed his progression through hard work and effort. Young fella is also one of the highest character kids you will find at his age and takes nothing for granted. I’ve witnessed Khalil dominate games going coast to coast and dunking over his opponents showing things on the floor that make your jaw drop, I’ve witnessed him struggle in games trying to show his versatility, but what surprises me the most is that he is the same kid no matter how he played. He shows a maturity that is well beyond his years and he is very humble. 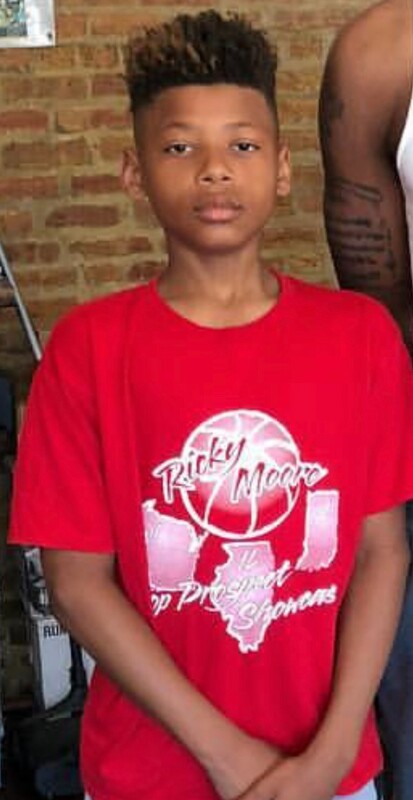 Here is a kid who is progressively getting better by leaps and bounds, he is also a gym rat and wants to learn. His size and athleticism already equate to someone high major colleges will be all over in the next few years. Not many kids combine the size, strength, athletic ability, will to get better and the genetic pool that Khalil possesses. When someone says a kid has Upside this is what they are talking about. Imagine him in a few years with a few more inches” “That’s Scary”, if that happens watch-out. Young fella has steadily been climbing the rankings ever since they were released last winter. 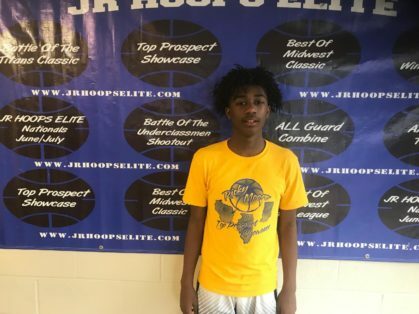 Khalil Whitney is currently Jrhoopselite # 4 prospect of 2019 and he has the Upside and Potential to be the best when it’s all said and done. 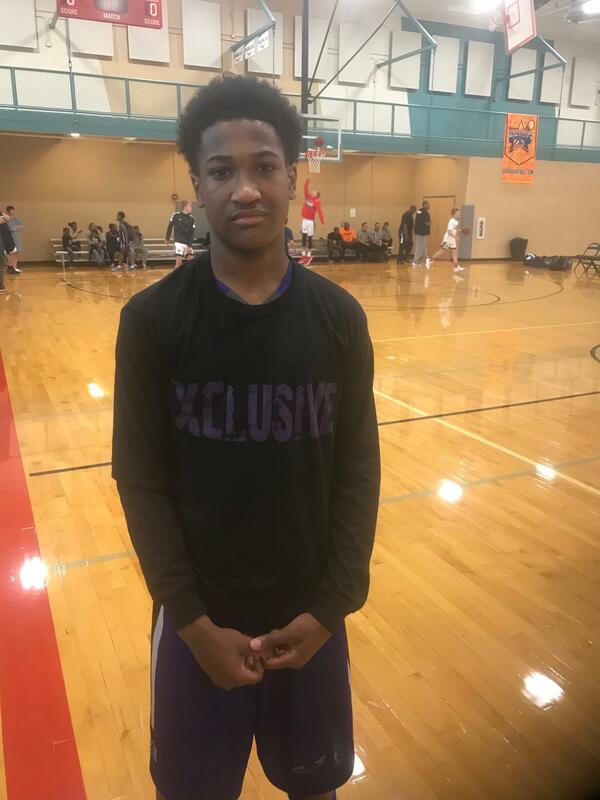 We look forward to seeing Khalil at the faboulus freshmen showcase Aug. 15th and monitoring him through-out high school career as we are formulating player profiles this coming spring for college coaches. Khalil Whitney “boy oh boy” WHAT AN UPSIDE!!!!!! You are Promising Prospect # 12. Adam Miller ESPN Top 20 player In The Nation, Was first Noticed Here And Proclaimed Best Player In The State Here As a 7th entering 8th grader from a small town in Central Illinois. People said we were crazy. Well it doesn’t seem that way now. Congrats on The USA Camp Invite. One Of Jr Hoops Elites Personal Favorites As We Knew He Had That Something In him. 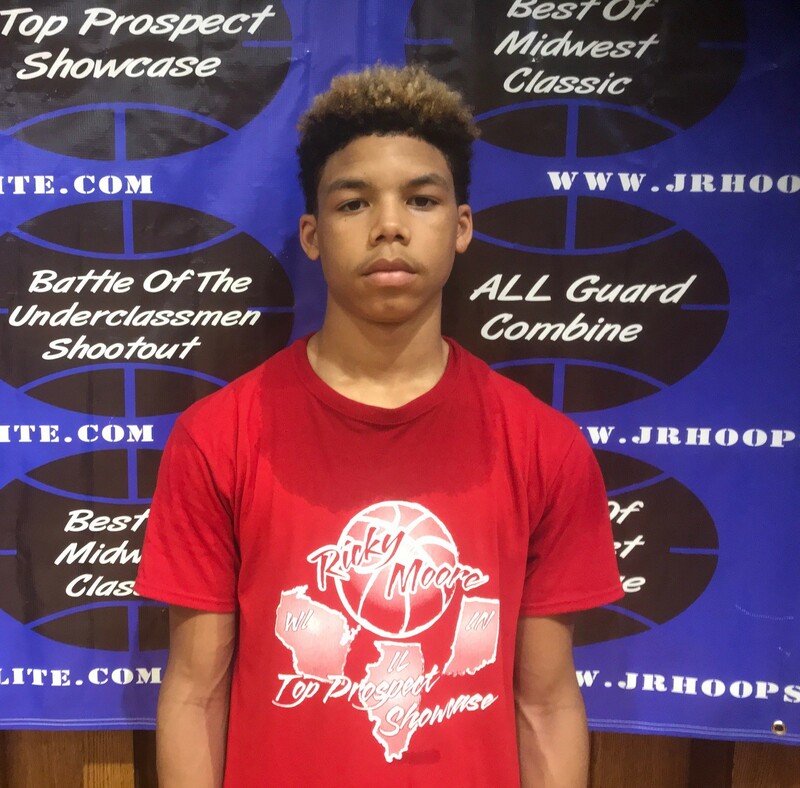 There is a young player who is making quite a statement with his game over the past year and many need to get used to hearing how promising of a prospect young fella is. Adam Miller is showing that he clearly has established himself an elite prospect and seems to constantly be getting better and better A STAR IS RISING!!!!. 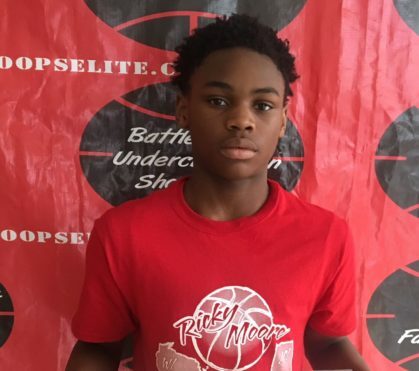 This silky smooth guard has that “IT FACTOR” about him. He is the kid who takes the challenge of wanting to get better each and every time he steps on the court. A few months ago Adam came to the Top Prospect Showcase and put on a show, showing every imaginable skill and intangible. He was completely unstoppable and left JrhoopsElite # 1 prospect the class of 2020. Since then young fella has done nothing to dispel that, in fact he is creating more of a separation. 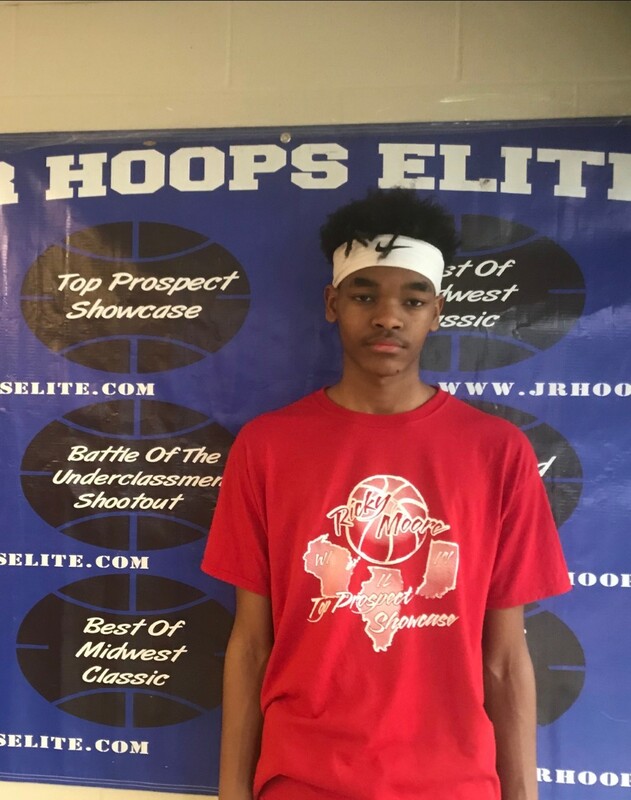 A couple of weekends ago I witnessed young fella playing 15U with the Mac Irvin Fire at NY2LA and he played well, then this past weekend I watched young fella playing at the Toi Baylor tournament in Romeoville and not only did I watch young fella playing up in age play well, I saw him actually taking over for stretches in close games. His team down 1 in second half he nails a long three, then makes a steal and feeds the ultra- athletic combo guard Markeese Jacobs for a layup, on defense he grabs a long rebound, dribbles up court in which he splits defenders and riffles a no look cross court pass to big Spence Boeheim for a lay-in, then follows that up with a basket in traffic. Yep!! just like that an 8 point lead and the game never got any closer. I’ve been around a lot of young players and there is just something about young Adam that says special!! He lives in Peoria, Illinois and many in the State were not aware of just how good he is. That’s probably a good thing, he didn’t get all the attention early and it seems to have kept him hungry and even more determined. Being from the Central part of the State there are many players who do not get as much attention as some of the Chicagoland Area. Having said that young fella is making a case for JrhoopsElite to get down that way more often. Adam has represented himself quite well in all fashions. Having sat down and talked with young fella a couple of times he one class young man, who is humble and appreciative of everything he seems to take nothing for granted A STAR IS RISING!!!. I look forward to watching young Adam for years to come and would like to acknowledge him as a Promising Prospect. Andre Casey Jr. Congrats To Our Number 1 rated player this past graduating class, Here Is what we said about him as a 7th grader, A respectful young kid who we think the world of and root for. Those 3 kids- Definitely Stood out and showed they are among the elite in the class, all received votes for Top Prospect Showcase MVP. These players have a skill set and the talent that makes them prospects to keep a close eye on for sure and all will be in our updated Top 10 no doubt about it. Ashton is the lean combo guard that we first saw as back-up role player a couple of years ago and we said ” Coach He Is The One! !, What you Doing?” my oh my has he blossomed into an ultra elusive, slicing and dicing big guard who can see the floor, finish in traffic and make just about any offensive play needed at this level and would be one of the Top 5 kids in the class I would start my team with, Jamie is the hard to guard pg, who makes it look so easy at times and reminds us of a young ” Sherron Collins” one of Ricky Moore’s favorite and former McDonalds All-American and National Champ and Tevonta Jackson is one of those ultra smooth big guard/wing forward that puts you in the mind of a young Tracy McGrady at this level, he does whatever he wants and makes it look sooooo easy at times. These Young Men Are Definitely Some Players and The Future Looks Bright!!! 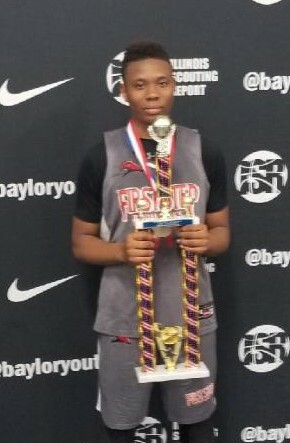 Kamarion Cobb 2023- Yes sirrrrrr!! I see another one of those kids who make me say “I want Him!! 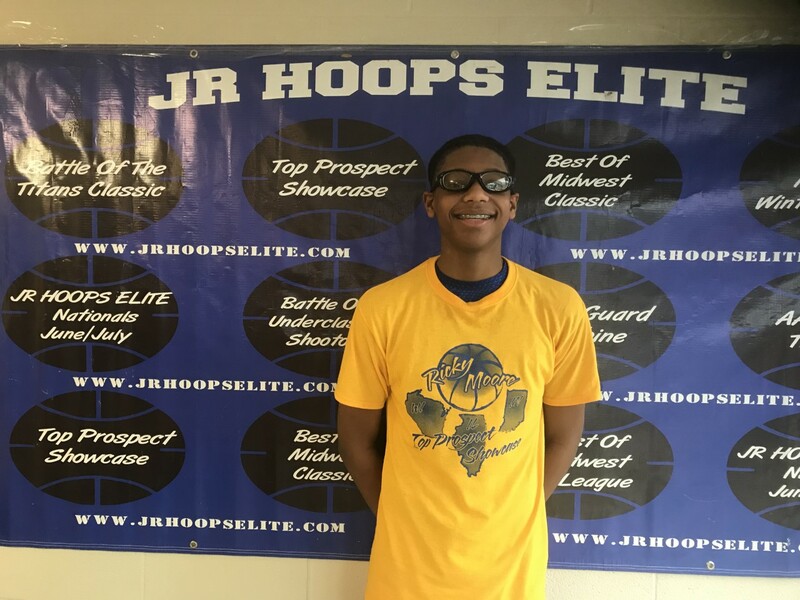 !” KJ as known to many is a player who plays at a different speed than most, he is a highly active wing who can get where he wants virtually on any defender, young fella was scoring at will for his team in a couple of games I watched. While we can see that most would be using young fella as a force down low because of his superior athleticism, current size, will power and over all dominance in the paint area. We see young fella as promising power slashing big guard, who can give opposing defenses nightmares. Young Fella scored in bunches at the Top Prospect Showcase in route to earning All-Showcase First Team, but what makes us so excited is we see the potential of what young fella can be. 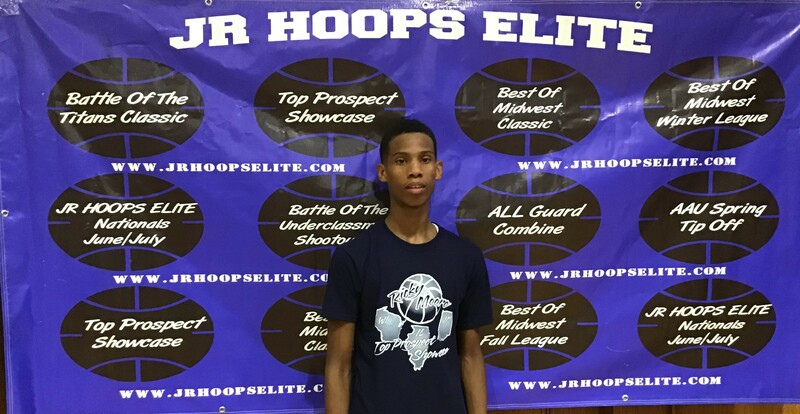 We will be keeping a close tab on KJ and young fella will be making his debut in the updated rankings rather high when they are released in 2 weeks as young fella is one of our Stock Risers. 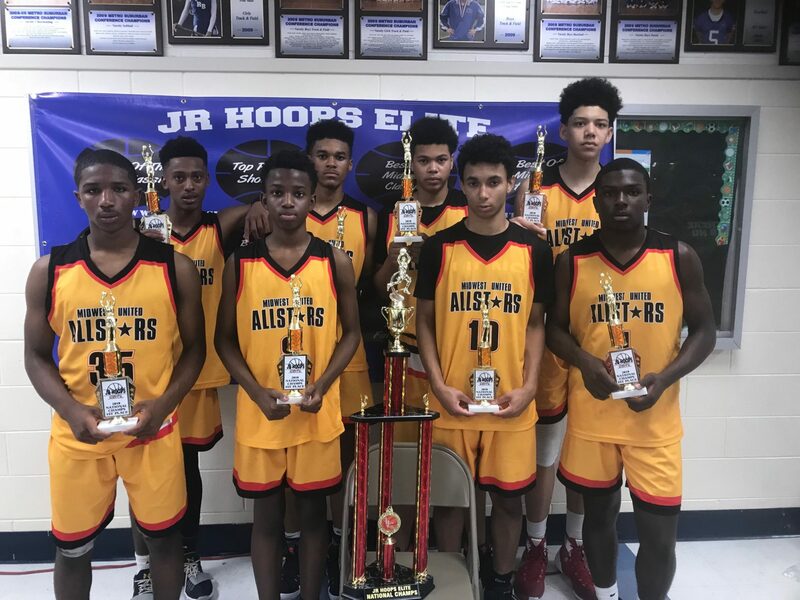 Over the past two weekends JrHoopsElite has seen many prospects in tournaments and we hosted our Annual Twice A Year ” Top Prospect Showcase” and boy was it fun, we saw a lot of talent from the Young Player Showcase- Fabulous Fresh/ Super Sophs, We would like to Thank everyone involved. Lamont Hamilton 2026- Yes Indeed!!!! make no mistake about it, we have one of those young prospects who we figure to be talking about for years to come. 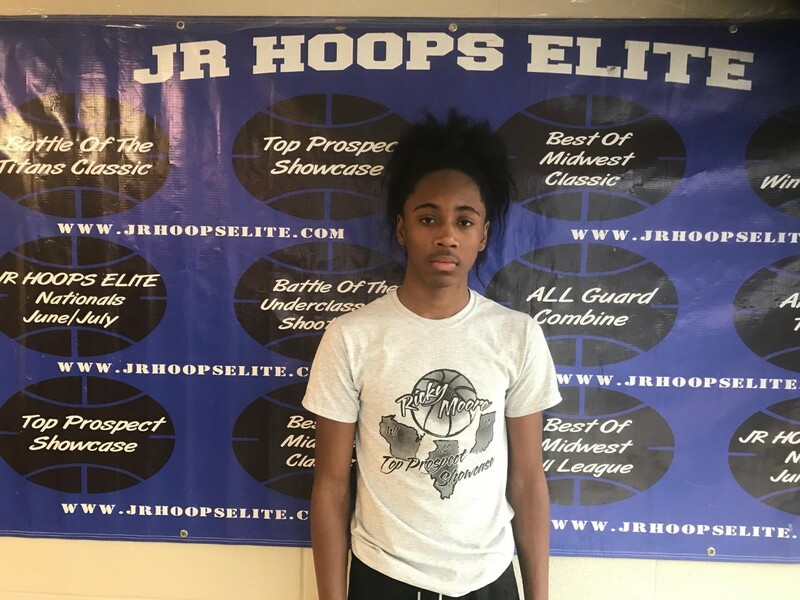 The attacking pg who is virtually unstoppable at getting where he wants on the court Lamont Hamilton AKA ” Doodie” is a problem for opposing teams, We watched young fella shred teams last weekend in route to leading his team to the Jr Hoops Elite Nationals as he was M.V.P. of the 10U division. 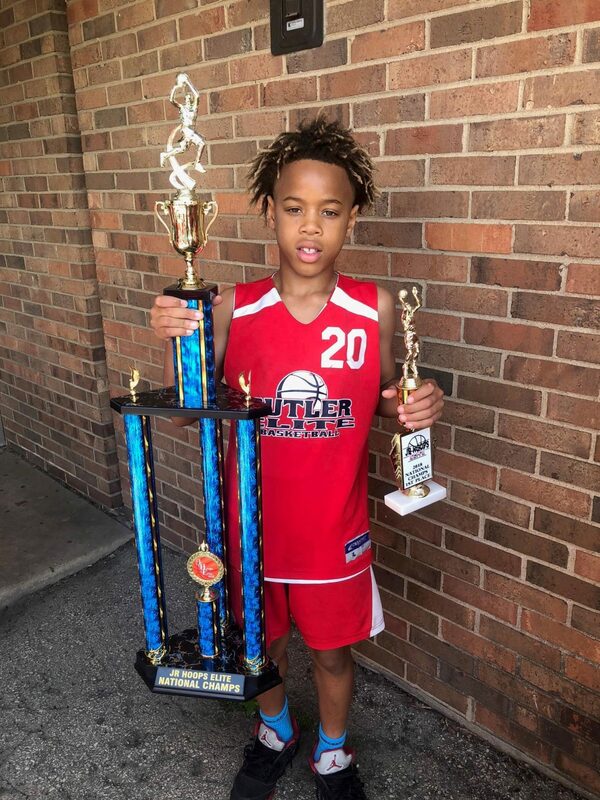 Young Fella showed every skill imaginable, he knocked the outside shot down a few times, he was slicing and dicing his way to the basket and spoon feeding his teammates, he showing the ability to lead, his vision and awareness was off the charts for his age as he was making length of the floor passes that kids 3 years his superior have a hard time making or even seeing for that matter and ” Nooooooobody Could Stay In Front Of Him Of The Dribble” Beware Racine Wisconsin Got “One Of Them Dudes”. 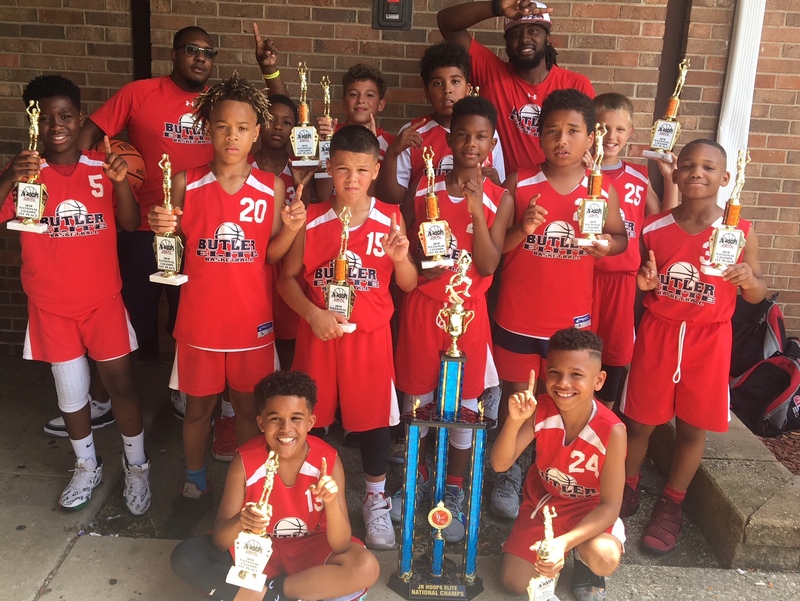 Our class 2026 rankings do not come out until next year and as we see it right now young fella is right up there with the elite in the Midwest in his class no doubt about it. 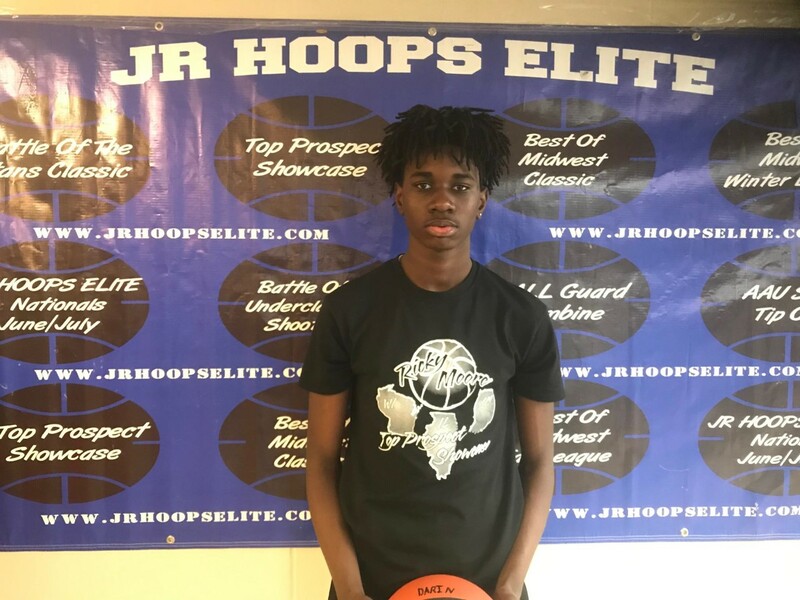 Young Fella plays with a swagger and a very competitive edge we look forward too monitoring ” Doodie for years to come, we also look forward to seeing young fella at the Young Player Showcase Aug 11th. where many of the talented players in the Midwest will be in attendance, I know young fella licking his chops right now.